Shortbreads, deliciously, buttery scottish biscuits. 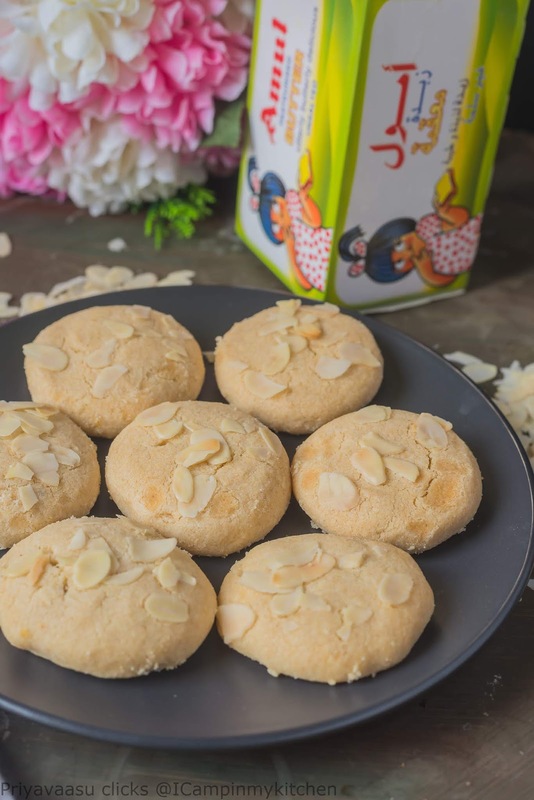 I bet no one can resist eating just one of these uttlerly butterly delicious biscuits. My lil one is a die-hard fan of shortbreads. When my elder one was growing up, he kind of lost interest in cookies, so i completely stopped baking cookies in my kitchen. Now lil one, likes homemade cookies, for diwali i made some nankhatais for friends, he loved them and asked me make some more for him. That sparked my interest in cookies too, so now i looking of all possible cookies that he would love to try and inturn i too would come out of that no cookies cocoon, and flutter like a butterfly into the cookies world. 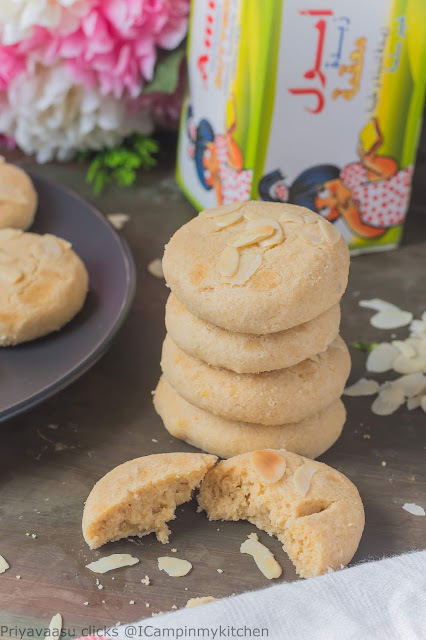 First step in breaking that shell is making these almond shortbreads, an old post, i did 2012. Many of old posts need better pictures, so i have taken the theme : Redoing old posts for this weeks BM, in this series, here is the first set of better pictures for these shortbreads . The original recipe, from Joy of baking, bakes the cookie in a tart pan and cut them into wedges, i did the same when i baked these in 2012, but today, i tried to refrigerate the dough and cut into roundels and baked them. My lil one is happy, that he got a new snack for his school snack box. These shortbreads are perfect for the festive season, as an edible gift. 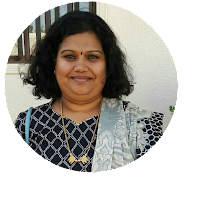 Do try and let me know how you liked it. Preheat oven to 170C. Prepare the cookie sheet with parchment paper. Beat the butter and sugar until smooth. Beat in the vanilla extract. In a separate bowl whisk together the flours (wheat, almond, and corn/rice flour) and salt. Add this mixture to the butter and sugar mixture and beat just until incorporated. The dough will be little sticky, slap the dough in a cling wrap, manage to roll it into a log and refrigerate it for an hour. I did the dough in the night and baked it today morning. Remove the dough on to kitchen counter, using a sharp serrated knife, cut the dough into roundels, i got around 12-13 rounds. The shape might little funny, flat at the bottom, try to adjust it in your palms to bring it to a round shape. Roll the top of the cookie on some flaked almonds, arrange the cookies on a parchment laid cookie sheet and bake them in the preheated oven for 22-25 minutes. Transfer shortbread to rack and let it cool completely on a wire rack. They mightly little soft while removing from the oven, but once they cool, they will have wonderful, crumbly texture of shortbreads. Once cooled, store them in an air-tight container and enjoy with your evening cuppa. Oven temperature, varies from oven to oven. If baking in a Gas oven, please keep an eye after 15 minutes, i have noticed my gas oven bakes quicker than my microwave convection oven. If plannign to bake them in a tart pan, no need to refrigerate the dough, just pat the dough directly onto a greased tart pan, prick the top of the dough, and bake it in the preheated oven. 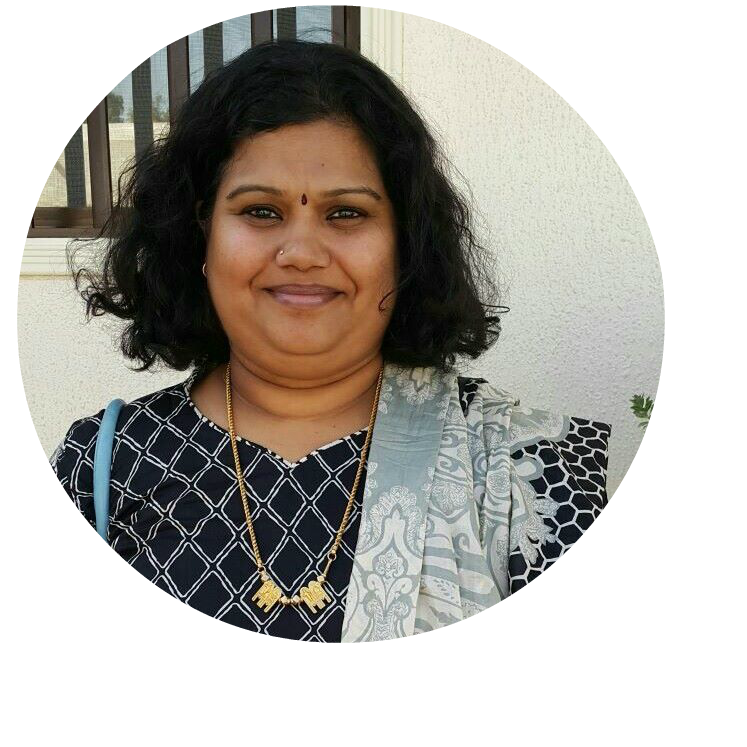 Nice one Priya!!! Love the shortbread. 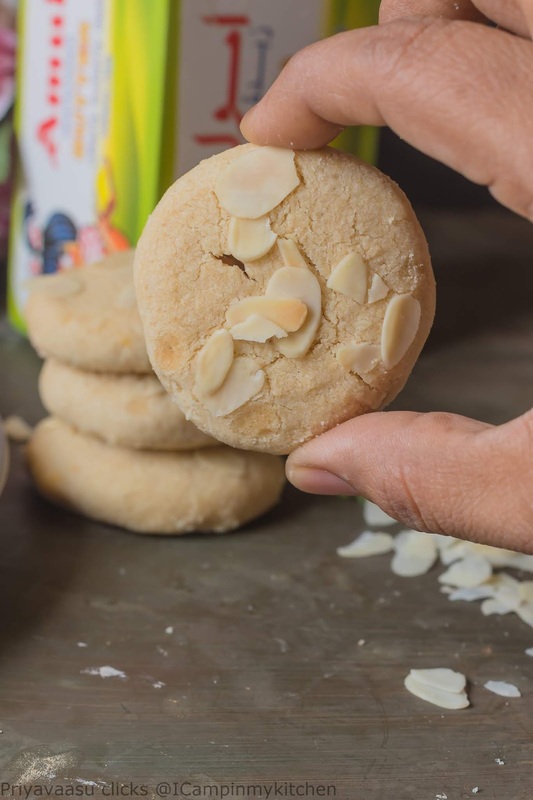 almond short bread sounds so delicious n yummy...great recipe yaar...thanks for sharing!! 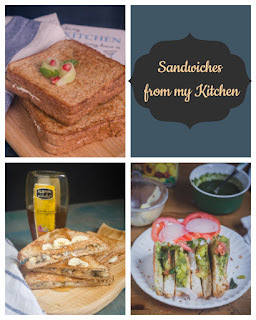 Another delicious treat..I am sure you have a load of baking recipes! i luv this short bread to the core..thats a good recipe..
Almond short bread..smells wonderful and looks delicious. I love shortbread cookies so much but have tried the larger version which is sliced into wedges. Making them as individual cookies makes serve in and storing easier. 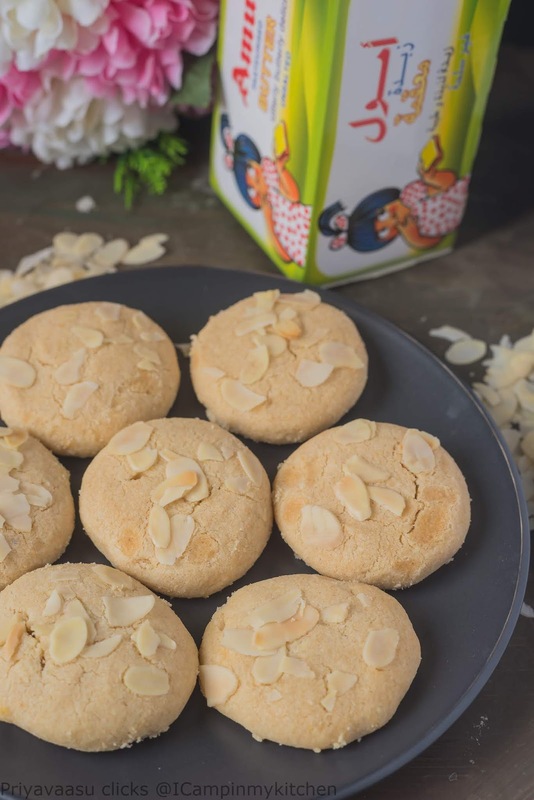 The almond topped cookies look gorgeous Priya. 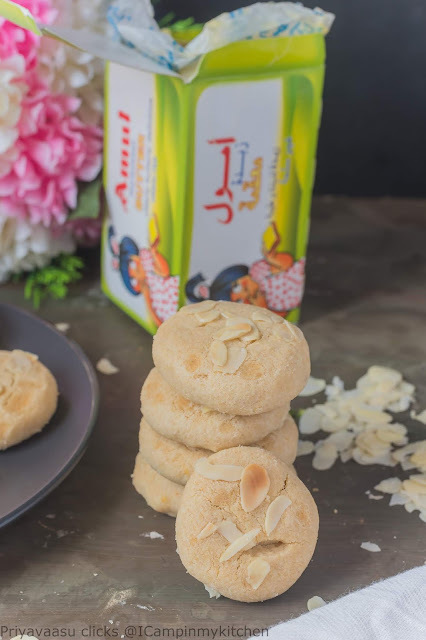 Almond shortbreads looks absolutely incredible and so tempting to munch without any fuss. Beautifully baked. They look amazingly crunchy! My girls love cookies but somehow I don't like baking them... I really don't know why! That looks super yum!! Almond short breads are in my to do for so long ;) might be I would try for Christmas. 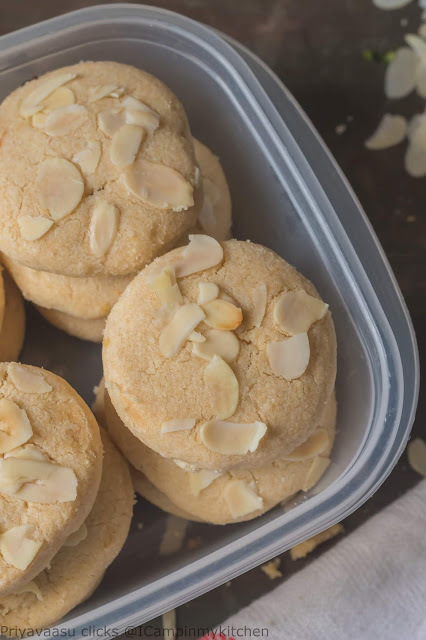 Lovely looking almond shortbread cookies. They look so buttery and must have melted in the mouth. I am sure the kids loved them. That looks just like the ones we have in the Indian bakeries! Love the recipe and so perfect for the cookie season! Priya must say almond shortbread cookies made with whole wheat flour really came out great. such a crumbly look, and light. Not looking dense, thanks for sharing.